When I first started working at FNU, I did not know anybody. I only knew about the University’s reputation for offering quality education; but in the blink of an eye, I found myself surrounded by a friendly faculty and a very resourceful staff. Simple words –that are rare these days- such as ‘Good Morning,’ ‘How are you?’, ‘Professor, here are your copies,’ and ‘Your classroom is already open’ made me feel comfortable and part of the Institution. And the faces that at first I could only distinguish soon started acquiring names. I soon found myself in a warm and friendly environment. As time passed, and relations were built, I realized that my feelings were shared by many people. I believe that every student and every faculty that enters FNU will have the most memorable experience that will enrich his/her entire professional and academic life. Another quality that I have found at FNU is its inherent values to quality of education supported not only by highly qualified professors but by a supportive teaching and learning environment. Classrooms are large enough so students don’t have to be elbow-to-elbow, the latest technology is available in every lab; and plenty of books are readily available in the libraries, not to mention the academic air breathed everywhere: classrooms, hallways, labs, libraries. 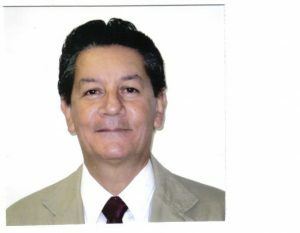 Moreover, as a Colombian professor with vast experiences in Colombian universities and as a Computer Manager for several Colombian and USA Companies, I have found FNU to be the best University for professionals who want to achieve an MBA from a foreign institution and at the same time feel right at home. As I previously mentioned, FNU is an institution with a personalized way of treating students and teachers alike. Every professor, every administrator, and every employee is dedicated to helping students succeed. Remember, success is not only having a great curriculum, but having a strong support system. By obtaining an MBA, you are taking a very big step up the ladder of success and towards financial growth. If the MBA is from an American university, which is regionally accredited, you may even go further. You might ask: how can I get my MBA from FNU when I don’t even have a USA visa? The answer is just one word: Online. Register online, take classes online; it’s that easy; you just need time management, commitment, and self-motivation. You will have to work hard, but in just a short time you will be able to reap the fruits of your labor. As a Colombian and academic, I know what to expect from a university; and as a Colombian we share similar dreams. 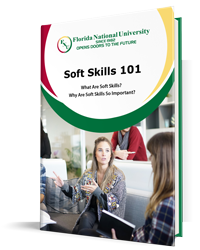 Florida National University’s Online Learning can help you achieve those dreams. For more information about Florida National University’s Masters in Business Administration program, click MBA.